Good morning everyone! 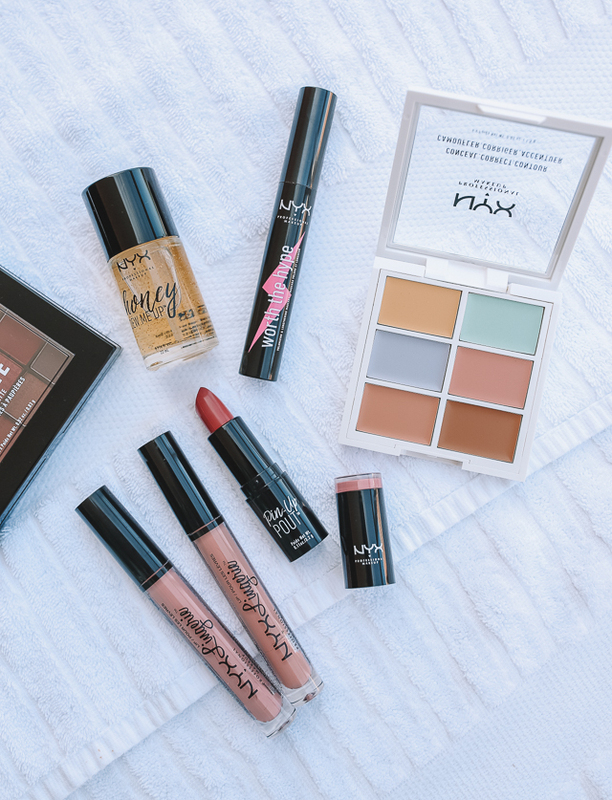 One makeup brand that I’ve loved ever since high school is NYX Professional Makeup. Not only is their makeup incredibly affordable, but it’s incredibly high quality. Back when I had an allowance from my parents (a loooooong time ago) I remember spending it on NYX makeup from Walmart hahah! 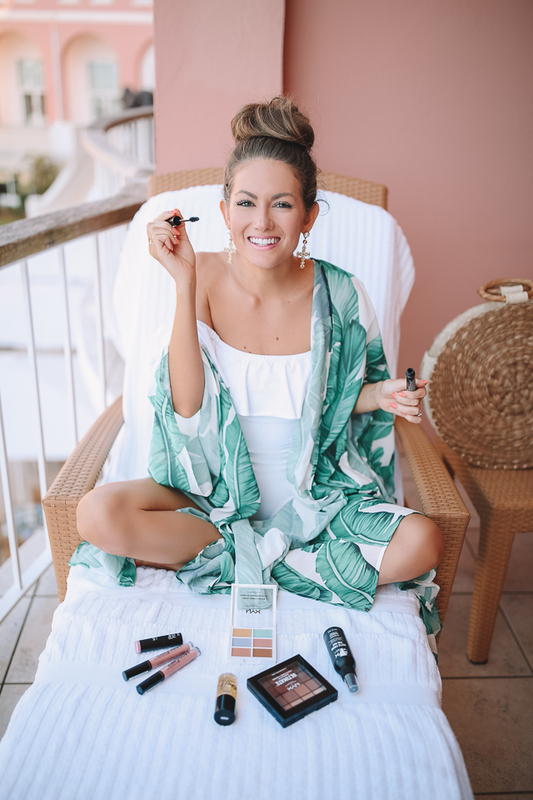 I listed all of the makeup products I’m wearing above (and I’m wearing all of the products in these photos) however I wanted to share my absolutely FAVORITE three with you here – all available from Walmart! NYX makeup setting spray, matte: A lot of beauty bloggers rave about this makeup setting spray, and now I know why! During the spring and summer I get an oily/shiny T-zone and I absolutely hate it – this setting spray controls the shine but still allows my highlighter to show through. I tested it all throughout my trip to Bermuda and it worked great – however the REAL test was this past weekend at my bachelorette party! It was 90 degrees and HUMID in Charleston and my makeup never budged!!! NYX lip lingerie liquid lipstick in “cheekies”: If you learn one thing from this post, let it be that you HAVE to try NYX’s lip products!! I have been using their gloss forever, and I like their liquid listed equally as much. 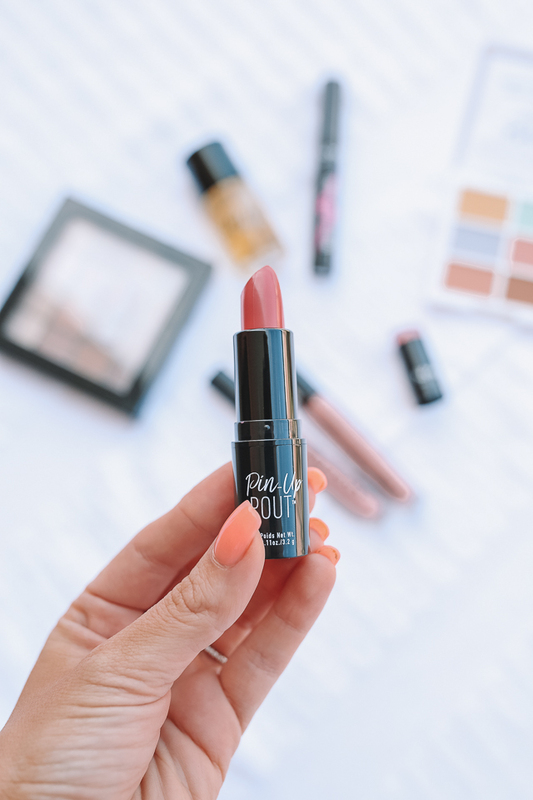 The Lingerie collection is amazing in itself: the pigmentation is fantastic the lipstick is long wear and lasts much longer than the soft matte lip creams. On top of it all, it doesn’t dry your lips out at all! I fell in love with the color “cheekies” for its soft, pale pink hue. So many fun items! I love that color correcting palate! What color is the Pin Up pout? It looks beautiful! I love NYX. That's my go to drug store beauty brand. I really need the color correcting palette and the Cheekies Lipstick Lingerie! I just got that mascara and am so excited to try it! NYX sounds like such a great brand to go to when you need affordable pieces! So many people rave about them! Love this! I used to use NYX all the time! What a pretty makeup look! NYX is the best! I started using it after it kept coming up in YouTube tutorials and now I see why. I don't think I've tried NYX before. Thanks for sharing this! I love NYX! 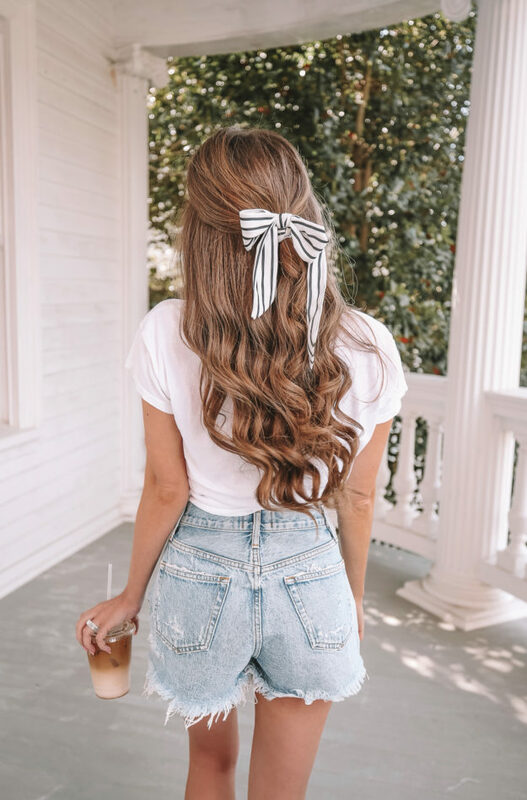 Their products are very affordable and great! Where is your palm print scarf from?? So cute! !